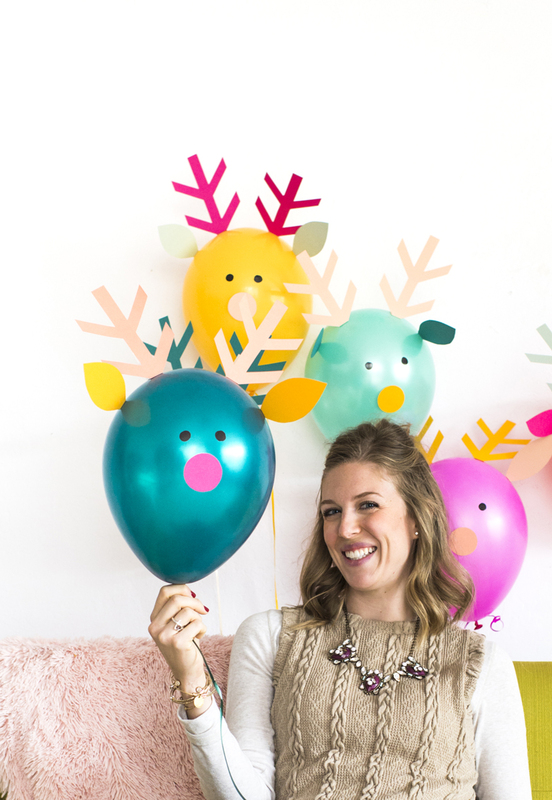 Tis’ the season for whimsy and colorful fun! 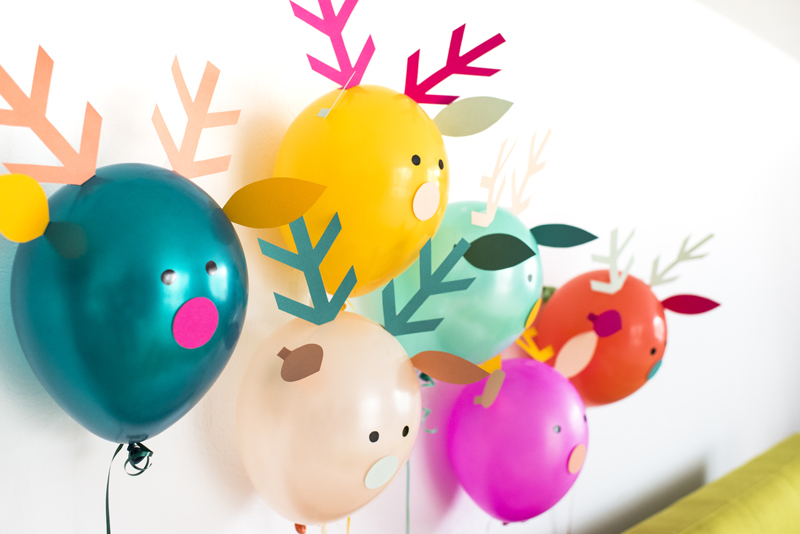 These reindeer balloons are a great way to get into the Christmas spirit as we jump into December this week. 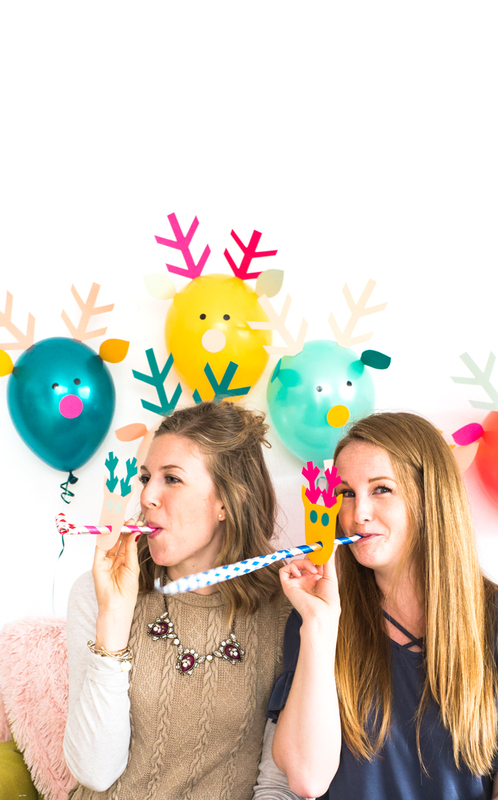 For holiday parties at work, at home, or at school the balloons (and fun reindeer party blowers below) signal to all your guests that you are ready to celebrate and are up for playing all those reindeer games. 1. Cut 2 antlers, 2 eyes, 2 ears and a nose out of fun colored paper. 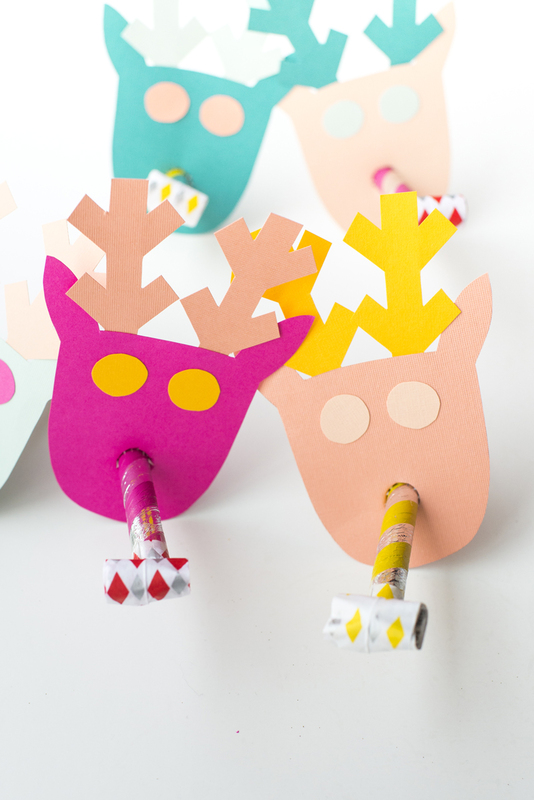 Make sure for the antlers and ears to add 1/2″ tabs at the ends for a place to put tape. 2. Blow up balloons. Pick coordinating fun colors! 3. 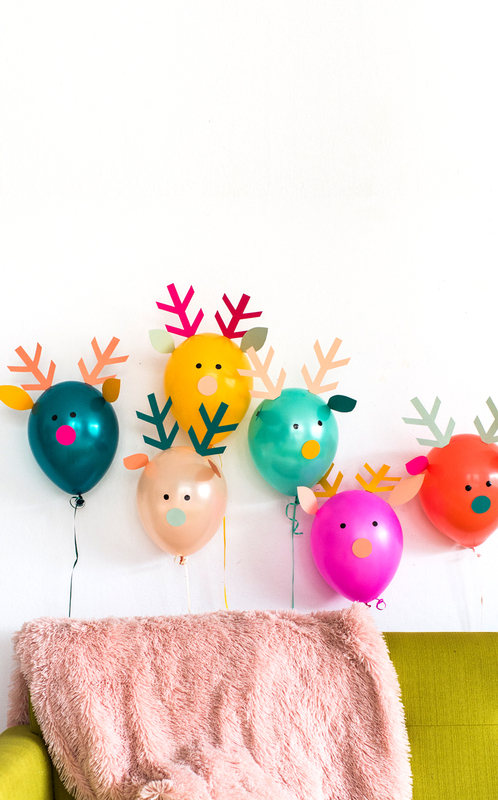 Tape pieces onto balloons and float them over a cozy blanket or a full on buffet table for varied party fun. 1. 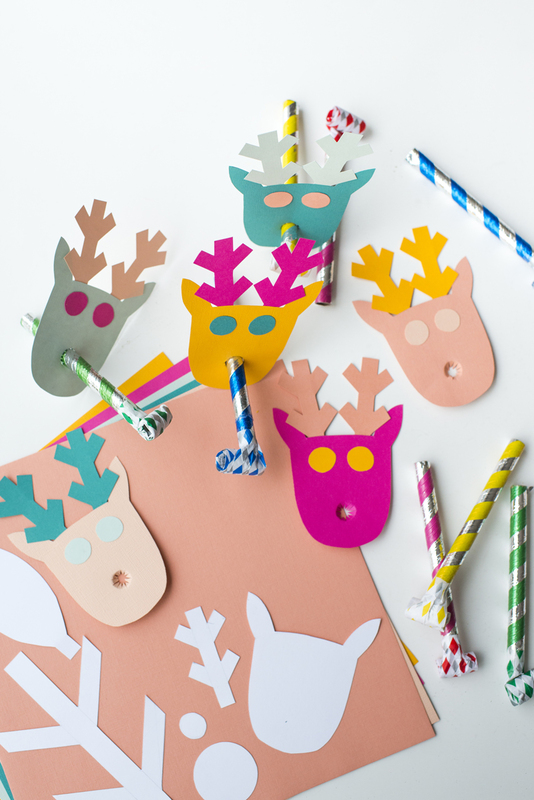 Cut 2 antlers, 2 eyes, and a head out of fun colored paper. Make sure for the antlers to add 1/2″ tabs at the ends. This is where you will tape the paper to the back of the reindeer head. 2. Tape antlers and eyes into place. 3. Trace the end of the blower in place and using an exacto knife cut slits in an asterisk like pattern. Push blower through the cuts from the front of the reindeer face. 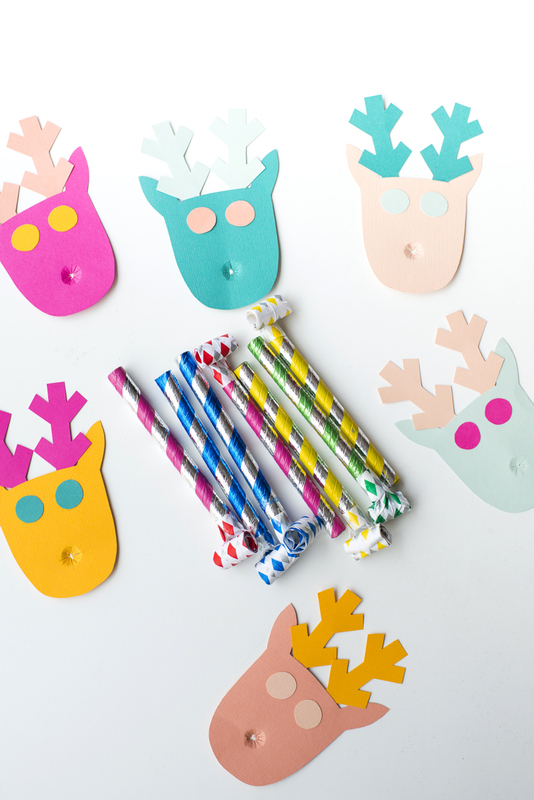 It’s easy to get into the holiday spirit with these colorfully fun party supplies. The best thing about making holiday party supplies at home is that you can ensure every element is totally in your color vibe and style. So whether that is traditional red & green or a more spunky hot pink – let’s get into the spirit in our own fun ways. P.S. 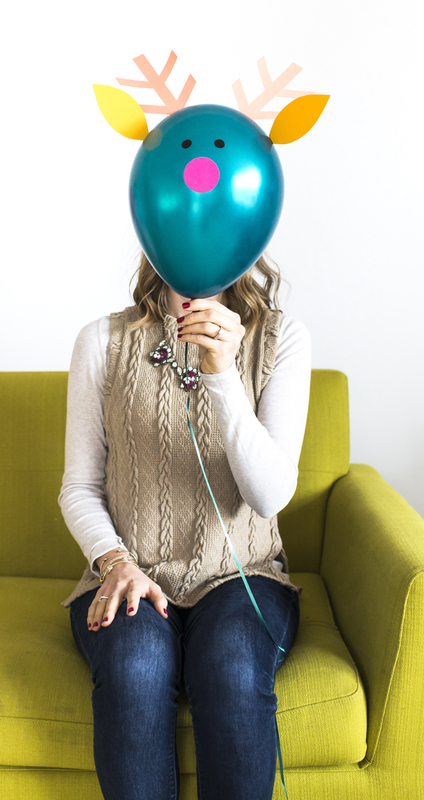 See all my holiday party ideas by category right here.